One of Joen's specialities is teaching about colour. In this colour class, you will be presented with important colour basics, so that the world of colour is in your hands. Then you will learn how to create some of the most wonderful colour illusions, depth, luminosity and lustre. Explore further the illusions of shadows, highlights and transparency. 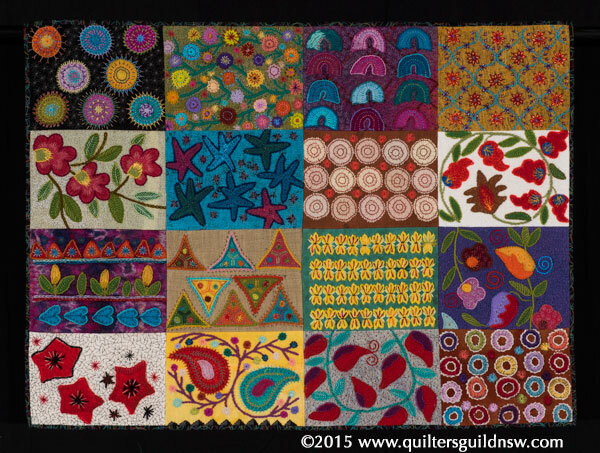 You should leave the class with a wide array of evocative lighting ideas to use in your future quilts. Joen tells us this is her favourite short colour class. This is a one-off opportunity to learn from Joen Wolfrom and we are very lucky to be able to take advantage of Joen's Barbara Meredith Foundation funded trip to Australia. Bookings open today 31 August. Full payment must be made when booking. All bookings will not be opened or processed before 31 August. In the unlikely event of receiving more than 20 bookings on this date, they will be selected randomly until the workshop is full. Cost $130 members and $200 non-members (priority will be given to members). Presentation Ceremony for Evolution, Change, Challenge - A Contemporary Quilt this afternoon. 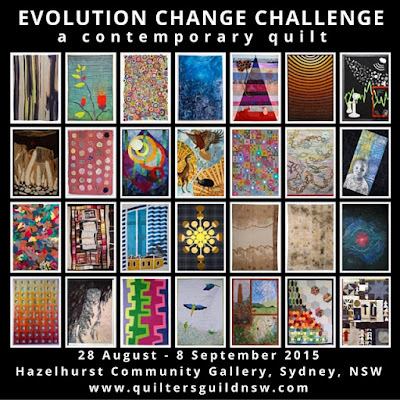 The presentation ceremony of the "Evolution, Change, Challenge - A Contemporary Quilt" exhibition today at The Hazelhurst Gallery was very well attended by many Guild members, past presidents, sponsors, Gallery director and staff, exhibitors and visitors. 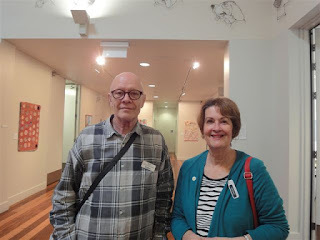 Guest speaker was Carolyn Sullivan, Guild life member, fibre artist and teacher, who gave her insights into the "Contemporary Quilt" and its development over the past 20 years. 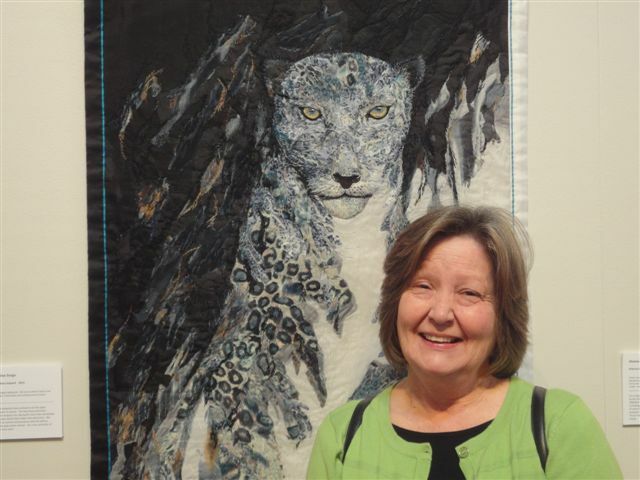 Winner of the $1,500 prize for best quilt was Denise Sargo for "Shadow Leopard". Denise gave a very gracious acceptance speech. The Viewers' Choice award will be announced at the conclusion of the exhibition. A big thank you to Bob James and Gail Sadleir who were instrumental in getting the exhibition organised. 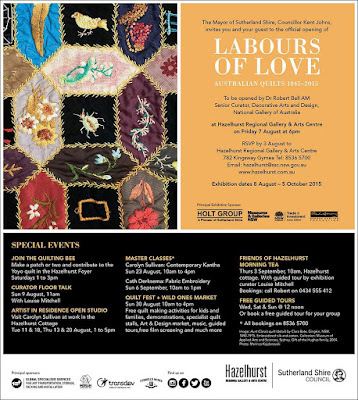 The last day of the exhibition is Tuesday 8th September 2015, so make sure you come along to view it, along with the "Labours of Love - Australian Quilts from 1850 to 2015" quilt exhibition. The exhibition continues at Hazelhurst Community Gallery, 782 Kingsway, Gymea until Sunday 8 September. A viewers' choice prize will be awarded at the conclusion of the exhibition. THANK YOU to the sponsors My Sewing Supplies and Patchwork Plus. 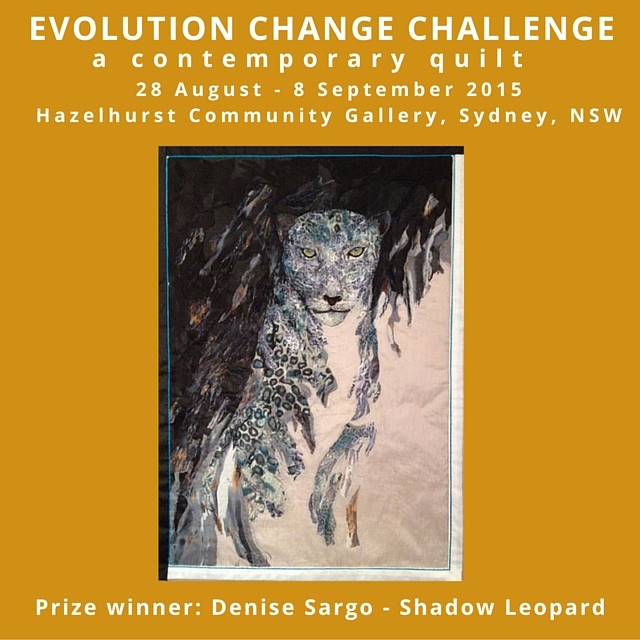 You can also view the exhibition online at Evolution, Change, Challenge: A Contemporary Quilt. There are a small number of places left in this workshop being held by renowned UK embroiderer Nicola Jarvis at the Embroiderer's Guild. Nicola is from the Royal School of Needlework and has designed this piece specially for this workshop. It is completely unique and has been worked nowhere else. You will learn the techniques of Carrickmacross lace from someone who worked on the Carrickmacross style lace on the Kate Middleton wedding dress. As there is some preparation to do before the workshop, now is the time to make your decision to enrol in this workshop as there are a couple of places available. Students will work a contemporary Australian design in traditional Irish White Work technique. 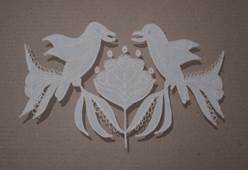 The Kookaburra and Eucalypt flowers and leaves will be depicted by couching a variety of linen threads on silk organza and net. The lawn will be cut away to reveal this charming decorative motif. The design will be further embellished with filling stitches, pops and guipure. Further embellishment with pearl beads and iridescent sequins is optional (these images are of the preliminary drawings). 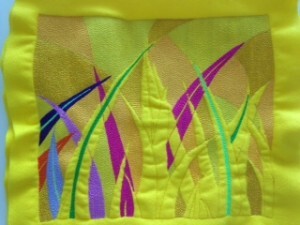 The pleasure of teaching is what inspires most of the quilts I make today. My aim is always to provide a relaxed and enjoyable learning environment, encouraging confidence and creativity in the students in the classes I teach. I believe that if they are taught properly how to master a skill, the students too will share my view, “It’s easy”. Building on and exploring the initial design is what gives me pleasure in the creative process. I have a great love for design and with the many visual inspirations leading me into the next projects, my love of patchwork and quilting will always endure. 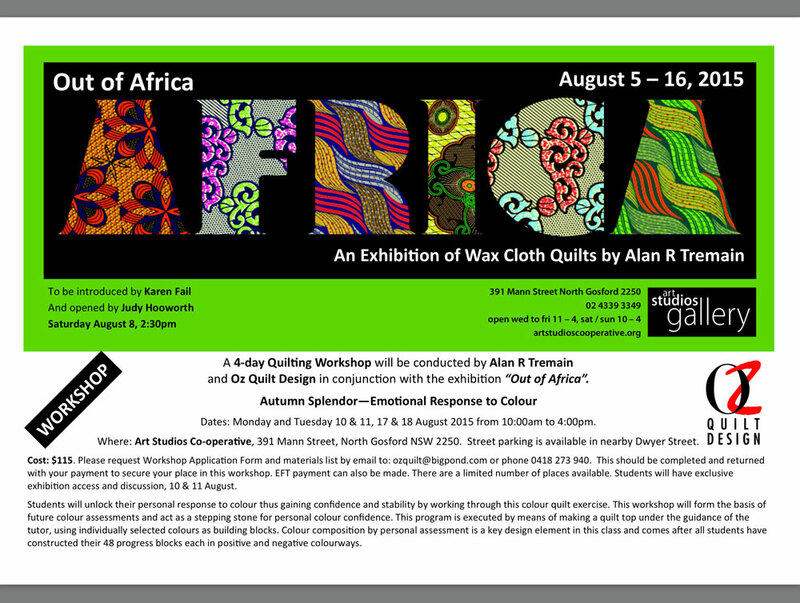 We welcome everyone to the Friday Showcase so please come along to see Pam's wonderful quilts and hear her talk. 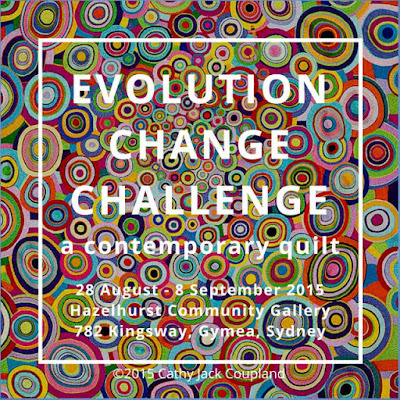 The Evolution, Change, Challenge – A Contemporary Quilt exhibition commences on Friday, 28 August at Hazelhurst Regional Gallery and Art Centre, 782 Kingsway, Gymea. You are invited to attend the Award Ceremony at 1.00pm, Saturday, 29 August in the Gallery. 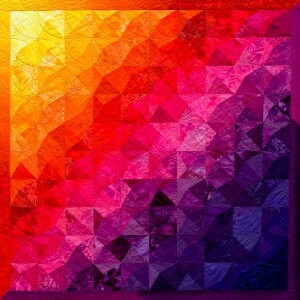 A prize of $1500 will be awarded to the maker of the winning quilt. A viewers' choice prize will be awarded at the conclusion of the exhibition. 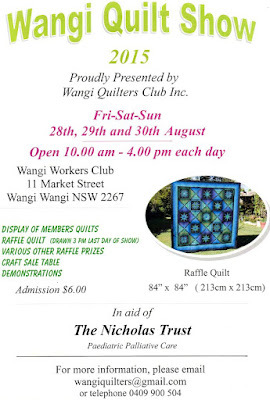 Thank you to the sponsors: My Sewing Supplies and Patchwork Plus. 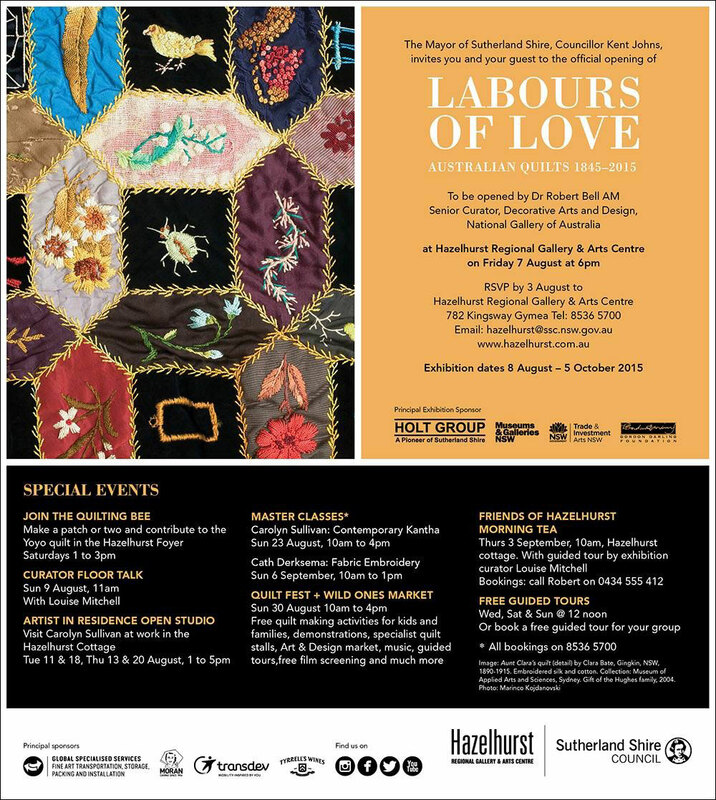 Evolution, Change, Challenge – A Contemporary Quilt is being held in conjunction with Labours of Love – Australian Quilts from 1850 – 2015, a display of quilts sourced from The National Gallery Australia, Canberra, Powerhouse Museum, Sydney and noted quilters and fibre artists from across New South Wales. Evolution, Change, Challenge – A Contemporary Quilt is an exhibition of contemporary quilts exploring the title theme. The exhibition runs from 28 August – 8 September and the awards ceremony is at 1pm on Saturday, 29 August 2015. Proudly sponsored by My Sewing Supplies and Patchwork Plus. Cathy has created two designs for this workshop as an introduction to the technique of thread painting. It will appeal to those who have some confidence using their machine and working with their feed dogs down, but if you haven’t tried this technique – give it a go – Cathy will be there to help you. The 2 day workshop will teach you how to transfer the designs, stitch the designs and finishing techniques. 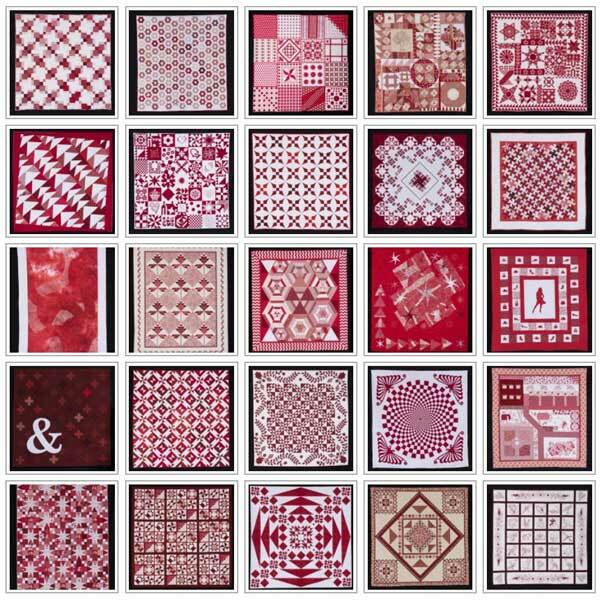 This technique makes delightful and striking quilts and may also be used on clothing, furnishings and bags. Other examples will be made available to show the diversity of this technique along with other resources, which may lead you to further investigation. The cost of this workshop has been reduced. The workshop is for 2 days, however you will only pay for one day. Day one will be the main day for instruction. Day two is the festival day at the gallery, so many of the visitors will be interested in the workshop and will want to have a look at what is happening while you continue to practice your thread painting under Cathy’s guidance. There will be someone on site to answer the questions visitors may have, so Cathy will still be able to give her main attention to the participants. Guild member Carolyn Sullivan is artist at residence at Hazelhurst Cottage, 782 Kingsway, Gymea. Carolyn will be open to studio visits from 1-5pm on Tuesday, 18 August and Thursday, 20 August. Alternatively, you can arrange your visit by e-mail. Calling all textile artists! 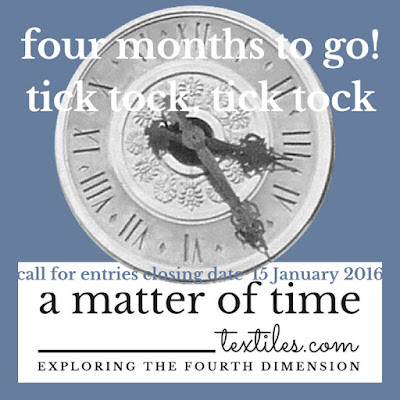 – explore the fourth dimension in cloth and submit your work for the next travelling textile art exhibition curated by Brenda Gael Smith - a matter of time. Closing date: 15 January 2016. View all the prize winning quilts in the World Quilt Prize Winners Gallery 2015. 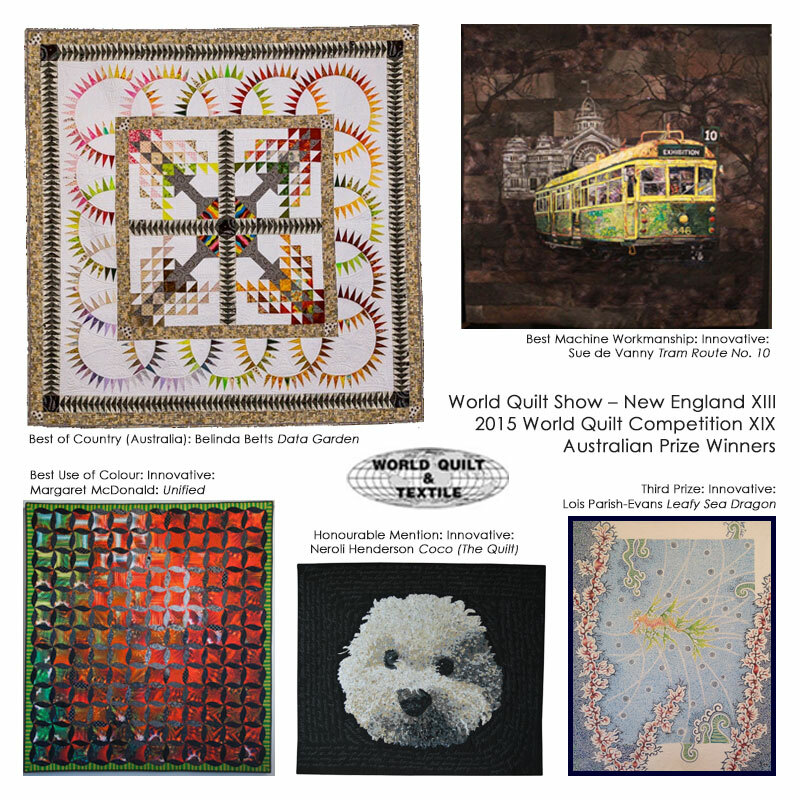 The Australian entry form for next year will be available at www.worldquiltaustralian.com in early 2016. Come along to Friday Showcase with modern quilter Lorena Uriarte at the Guild Office on Friday, 7 August at 10am. We welcome Guild and non-Guild members to Friday Showcase. There is a small charge of $5.00 for members and $10 for non-members. *Design Source: Block Designs by Chuck Nohara, "2001 New Patchwork Patterns"
Out of Africa is an exhibition of dramatic and original quilts made using and inspired by African Wax Cloth. This is the first solo exhibition by Alan Tremain since suffering a stroke in August 2013. 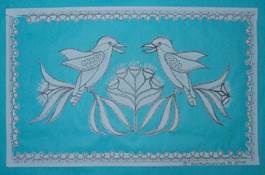 African wax cloth is well known for its highly stylised and innovative bold and colourful design with very graphic images. One of the most popular wax cloth print themes has historically been the use of political images and campaign slogans. These fabrics have been widely embraced by couture fashion houses in both Europe and USA. Also on display at the Out of Africa exhibition will be a quilt by an unknown African quilter. This quilt, which has miraculously survived since 1944, features on the whole‐cloth quilt backing, a print celebrating the election of William Vacanarat Shadrach Tubman (later to become known as ‘The Father of Liberia’) as the 19th President of Liberia. This quilt has resided in Africa, England, USA and now forms part of Alan’s private quilt collection of significant quilts. Other quilts on display celebrate the election and birthday of Barrack Obama and one based on a Zairean fable, ‘The Tortoise, The Elephant and The Hippopotamus’. Out of Africa will be opened at 2.30pm on Saturday 8th August by international quilt artist Judy Hooworth and introduced by the Quilt Study Group of Australia’s Convenor Karen Fail. So successful was the Red and White Special Exhibit at this year’s show that the Committee has decided these should be a regular, but not too often, feature of the show. Every three years will the magic number. What will be the theme for 2018? Put your thinking cap on and email your idea/s to exhibition@quiltersguildnsw.com for a chance to win a free ticket to the 2016 show. Entries must be received by 30 September and the winning theme will be announced at the AGM in October.